Sometimes life happens, and presently for me this means that Postcards from the Parks Road trip #3 was suppose to begin last Saturday, but I am still at home with my sweet dog Theo who is is quite sick. Priorities shift and anyone out there that is a dog owner knows exactly what I mean. 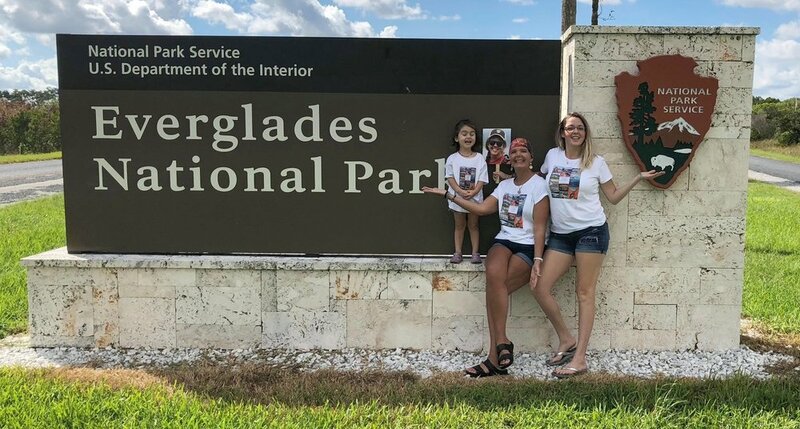 Plans change and we needed to get creative (Thank you Ivy and Steph) but the PFP ROAD TRIP to Everglades, Biscayne and Dry Tortuga National Parks is STILL ON! I may be sitting on the sidelines of this adventure nursing my dog back to health here in Vermont, but I am with them in spirit and trust them to bring us both the visual highlights and concerns threatening the delicate ecosystems of our Florida National Parks! 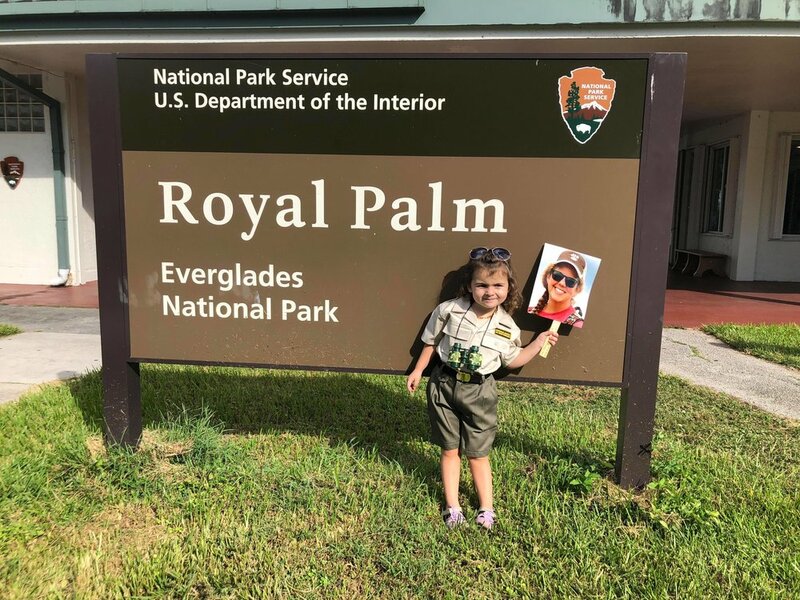 My brave and adventurous family from Cocoa Beach, FL have taken up the torch for me and are carrying on the expedition. So here is the first installment of Field Notes from the Parks special edition South Florida where they will be my eyes and ears while art is made here in my studio to represent these precious places. Official Road Trip Photographer, #1 support and cheerleader for Stephanie, problem solver and keeper of our Junior Ranger Celia Jane! 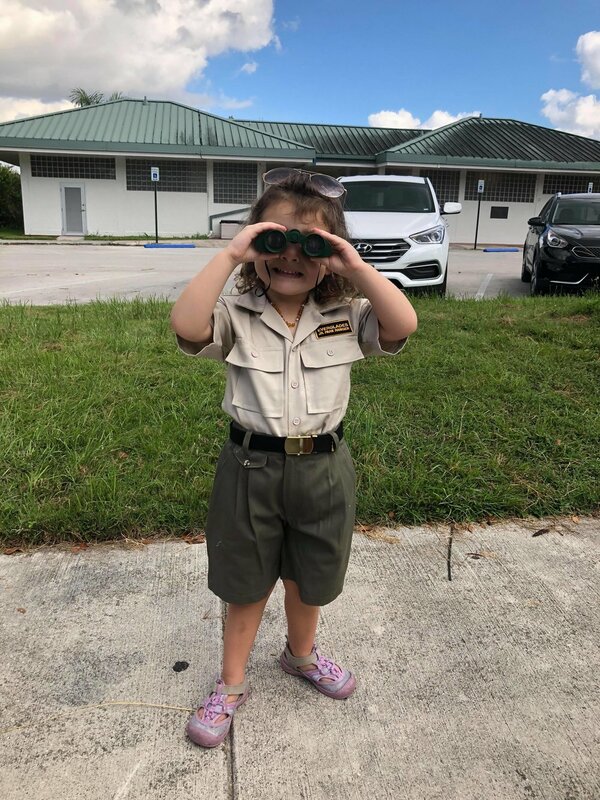 The Official PFP Road Trip Researcher, explorer, and comic relief - looking forward to seeing the parks through her eyes! Road Trip Chief Operating Officer, Driver, Equipment Manager, and Boat Captain. This guy is keeping the crew together in more ways than one! I am heartbroken that I can’t be there with them, but know I am where I need to be and virtually with them every step of the way as they make there way from the delicate and endangered habitat of the Everglades across the Keys to the Elusive Island of Dry Tortuga seventy miles off the tip of Key West! There is so much in store for this crew and they have earned the adventure of a lifetime! Here are a few shots from today’s exploration of the Everglades! Stay tuned for more Field Notes from the the Road, updates on Theo, and hopefully i will be jumping in on the Road Trip to carry it on from the salty shores or Florida to the desert sands and high mountains of New Mexico and Colorado…more to come! A parting message - GET OUT AND VOTE on Nov. 6th! Your public lands are counting on you to protect them! Older PostWelcome to the Sierra Nevadas: Sequoia and King's Canyon National Parks!